Here a brief selection of our clients, past and present. 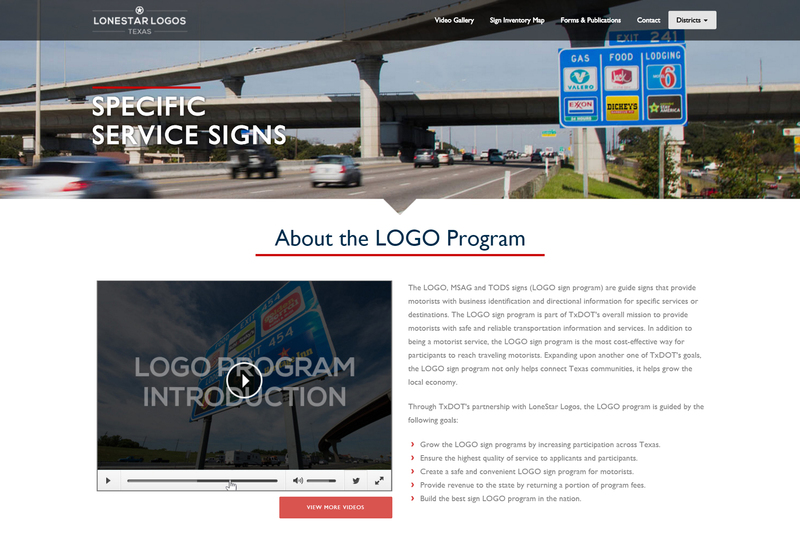 Upshot Media Group has been working with Lonestar Logos for nearly 10 years and the TxDOT Portal was one of many website applications we created for this client. This micro website application was built with a responsive design using the bootstrap front end framework and a custom CMS to securely manage access to authorized TxDOT portal personnel only. The custom application allows for the site administrator to manage videos, numerous documents, and member access with great ease. Custom Responsive Website Design with Custom CMS and Secure Member Password Management System.